There is no doubt that love is in the air! 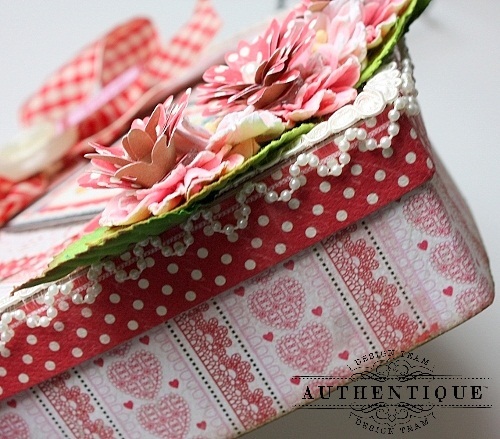 Time to share a fun and functional heart-shaped treat box covered in loveliness. papers and accents from Authentique's Lovely Collection. with delicious handmade goodies or a variety of chocolate candies...oh yeah! To begin, I traced the box shapes onto the"Adore" 12x12 Paper and cut out. I reattached the window with adhesive. 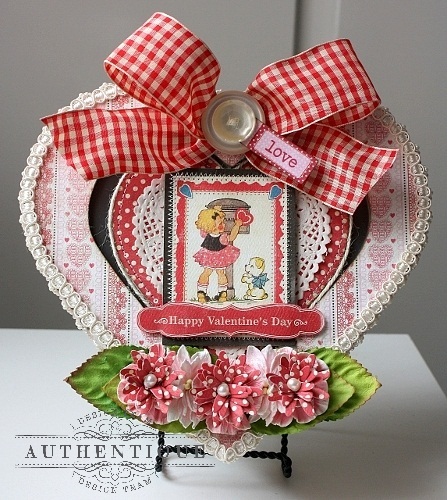 I fashioned a small heart from the "Crush" 12x12 Paper by using a quilter's template. rolled myself from the "Crush" paper. I used a scruffy walnut ink pad to gently distress the edges of the paper. lace trim that I got in a bundle from Hobby Lobby. 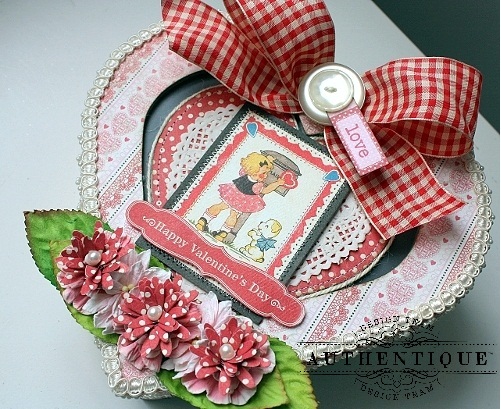 And nothing says "Valentine" like a red/cream gingham bow, which completed my sweetheart box. at the blog throughout the month...collections sell out quickly, so don't miss out! My goodness! This is the definition of pure loveliness! I adore this box. Your work is amazing! WOWZERS...this is AMAZING!! The papers are so fabulous and the details are fantastic! 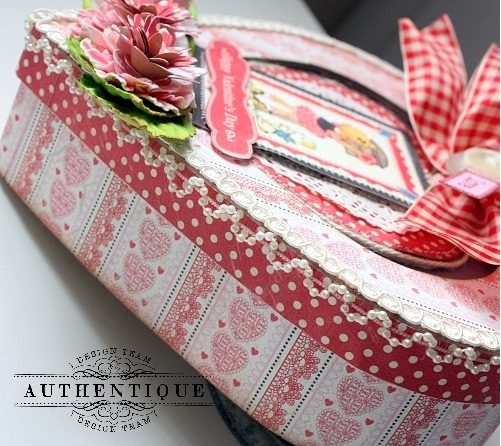 I love your box~gorgeous project! TFS!! This is so super gorgeous!!! Where do you find the inspiration? !